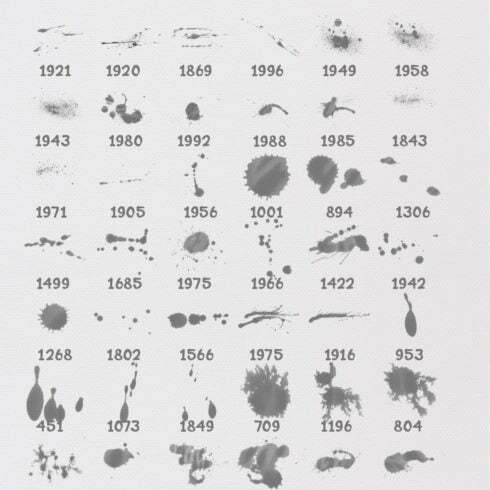 Download this set of 50 high-resolution splatter brushes! Created with artist-quality watercolor paint on cold press watercolor paper. If you are a graphic designer taking care of several projects concurrently, you, like no others, see the importance of the entire bunch of design items at hands. Searching for them one at a time, you may spend much more time and expense consequently. To obtain all of the desired components in a single pack, we advocate taking a closer look at graphic packages. A bundle is a assortment of design components needed for graphic design, valued for a large amount of money, yet offered at a significantly reduced price tag for a very limited time. How could you save on 50 FREE Watercolor Splatter Brushes deals? You can make the MasterBundles.com items even cheaper. Ok, I am aware they are already cheap, but there’s still some place to save. Share this webpage in social media – you receive the 5% price reduction for every of the graphic packages you like. That’s a super easy way to get an expertly designed tools for a lower price. 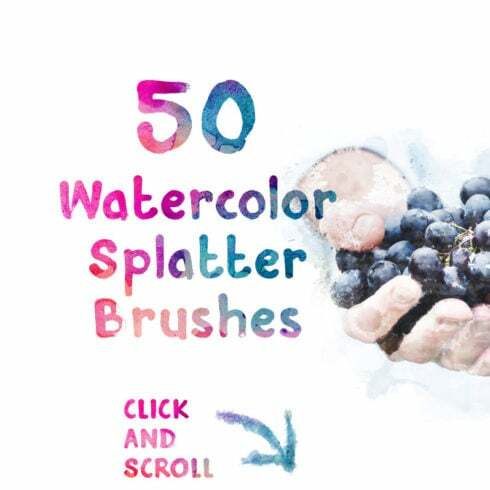 Why are 50 FREE Watercolor Splatter Brushes profitable? The pros of graphic packages for graphic designers are pretty obvious. However if you are a newcomer to those elements and still have questions, the following info will be helpful for you. Including a multitude of the components in a single package, the selection provides you with an opportunity to use different of them for various tasks. Besides, the cost is usually greatly reduced which lets you stretch your budget, yet receive the whole set valued for hundreds of dollars. The collections of components compiled into a graphics bundle deal are generally sorted as outlined by their purpose and type. There can be packages with business card templates, mockups, infographics, wedding invitation templates and icons, etc. Besides that, you may also find graphic bundles particularly for Halloween, Christmas, Halloween or Christmas. Any additional bundle deals on MasterBundles? MasterBundles offers you a large selection of unique products. We sell not only graphics bundles but also approximately 20 other various kinds of products and solutions. Fonts, WordPress themes, mockups, icons, photos, illustrations, presentation templates and a whole lot more – on the MasterBundles.com you will be able to obtain most of the graphic items, required for a design. What is a watercolor graphics package? The watercolor graphics bundle is a bundle containing pictures and illustrations painted with watercolors. They will perfectly come in handy for a variety of companies, including fashion, cosmetics and food distributors. Cards or wedding invites may be created using this kind of package deal. If you feel like you’ve lost loads of time when researching various resources and components for your current graphic design jobs, it is about time to learn more about MasterBundles. This is a marketplace offering the most widely used tools (graphics, logos, presentations, fonts etc.) for graphic designers, marketers, and web developers at a reasonable cost for a short period of time. On top of that, you can use coupons and promotional codes for specific offers. In order to not miss out on significant updates about the upcoming promos, we advise reading our blog and signing up for the email newsletter.